Learn to read the Bible like Jesus at this LCI study day led by American Anabaptist teacher, Michael Hardin. Join us to engage with Scripture as Jesus did, asking questions and interpreting it so that we can see more clearly the glory of God and God’s calling on our lives. Michael Hardin is an international speaker and author from Pennsylvania, US, and founder of preachingpeace.com. His publications include ‘The Jesus-Driven Life’ and his most recent book, ‘Reading the Bible with Rene Girard.’ Michael is an insightful and challenging teacher whose gift is in applying the latest scholarship to everyday life. 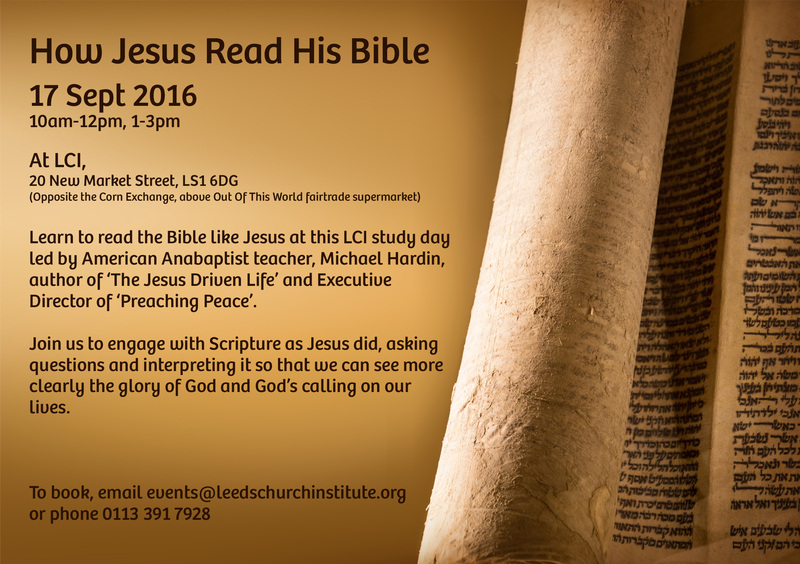 To book, email events@leedschurchinstitute.org or phone 0113 391 7928.